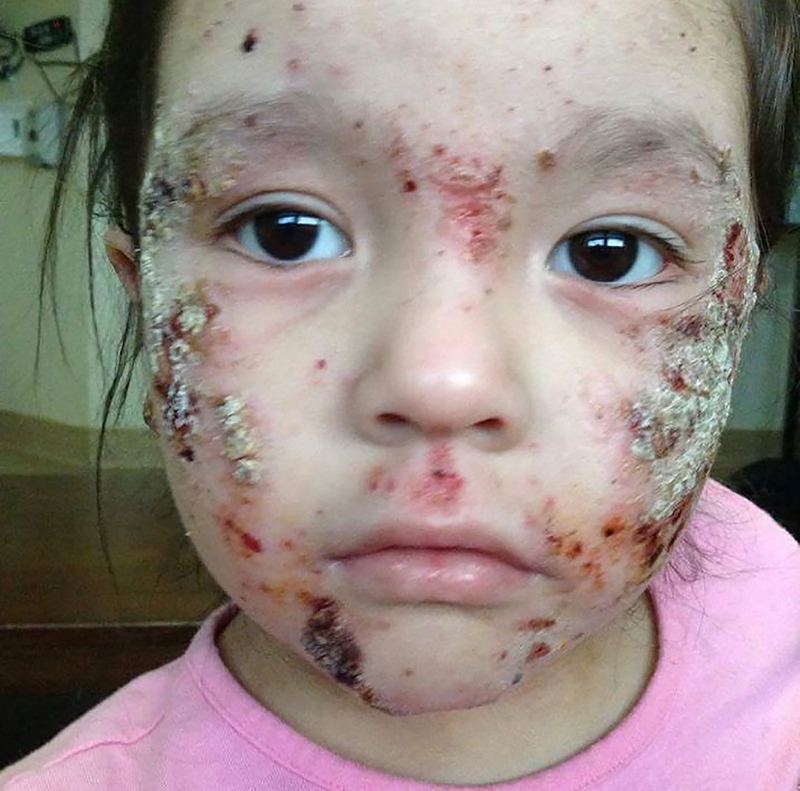 An outbreak of rashes and open sores on children in Canada’s Kashechewan First Nation is leading many to criticize the health care and living conditions for aboriginal peoples in the country. 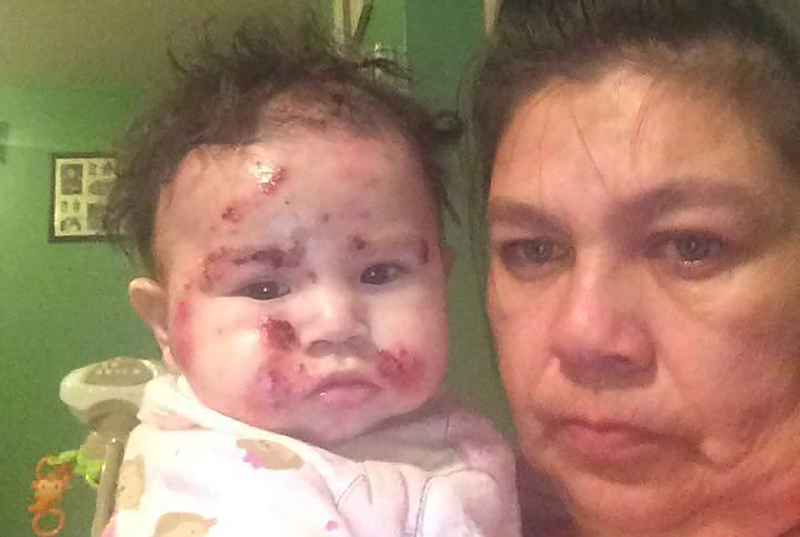 Around 30 children were affected, and Kashechewan Chief Leo Friday said the rashes could be a result of mold, tainted water sources, or failing infrastructure in their community. Kashechewan residents battle poverty, and their living environment doesn’t help. Nearly every year flooding on their reserve precipitates an evacuation, and mold invades in almost every home. There is no hospital for the community, and people only get a chance to see visiting doctors every few weeks. It’s difficult to send supplies to the community, which can only be accessed by plane, boat, or ice road, and that’s all dependent on the weather. A medical team was sent in to treat the children, and one of the doctors, Dr. Gordon Green, said the outbreak was “not really a medical emergency but a social emergency.” He blamed unsanitary living conditions for exacerbating health issues. The mold present in most homes is only part of it – laundry detergent in the area costs around $37 for a bottle; it’s only $10 in Toronto. Low incomes and high-priced cleaning supplies worsen the issue. Around ten years ago a contaminated water crisis affected hundreds, so residents feared the water could be the cause of their children’s infections. Health officials tested the drinking water and said it “falls within established drinking water guidelines.” However, there will be more independent testing to confirm that initial analysis. 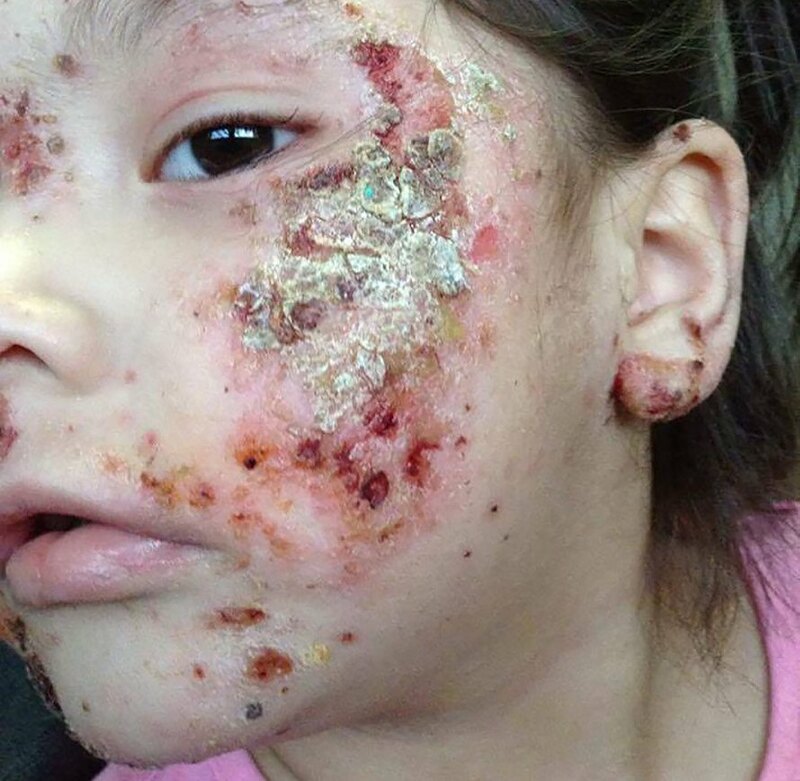 16 parents spoke out regarding concerns about their water in a teleconference call with federal representatives and Health Canada .Minister of Health Jane Philpott said in a statement that according to the medical team, the children have been diagnosed with eczema, scabies, impetigo, or psoriasis, all treatable conditions. She said they would all receive the care they required. A new budget allocated $8.4 billion over five years for improving the lives of aboriginal people in Canada. The budget included plans for improving infrastructure, monitoring water, and developing better education systems. Poor kids! Heartbreaking pictures.... Their parents are to blame not the Canadian government! If that place where they live is that remote maybe they should move to some city for the sake of their children! Their community faces flooding, mold, and limited access to health services - there is no hospital in their community. The children are members of First Nation, one of three aboriginal groups recognized by Canada's constitution. Several of the children were removed from the area for treatment. 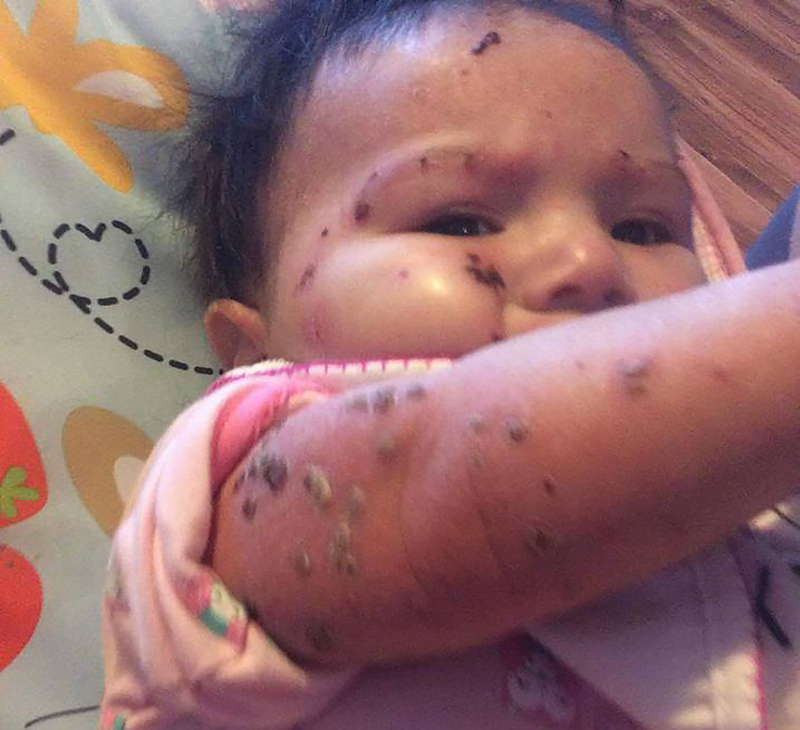 A medical team said the rashes were treatable, and the children are receiving care. Canada has promised to spend more money on housing, health care, and better water for the community and other indigenous people. 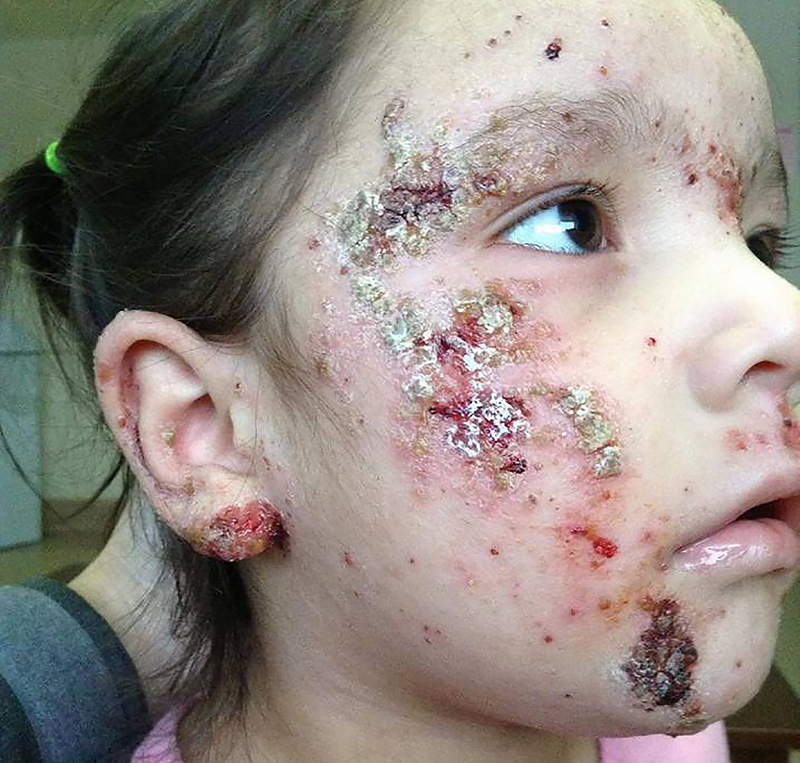 Many criticized Canada's health care for indigenous peoples after around 30 children were afflicted with horrible rashes.